Milwaukee's Magnificent Bride Wedding Show has been making wedding dreams come true for thirteen years! Southeastern Wisconsin's most exclusive wedding artisans will inspire the planning of your special day. Join us for a day of champagne, fabulous food, and the latest trends in wedding design. The first 150 brides through the door will receive a fabulous Swag Bag — loaded with wonderful treats from some of our vendors! (Brides ONLY). And the first 300 brides and first 100 grooms through the door will receive a key — one bride key and one groom key will open the lock to a fabulous grand prize (to be announced shortly). Try your key starting at 2:00 pm. 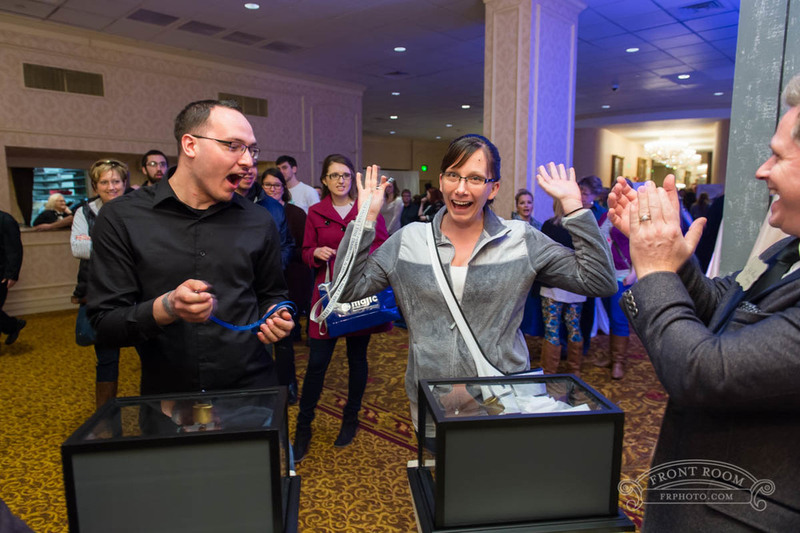 Congratulations to the winner of our Husar Signature ring featuring a 6 carat topaz and black and white diamonds at Milwaukee's Magnificent Bride Show held at the Pfister Hotel, Milwaukee, WI. Photos by Front Room.